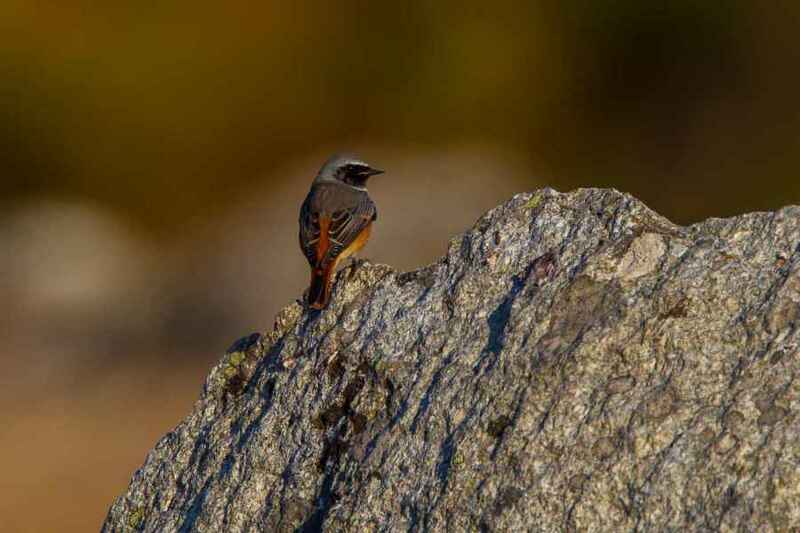 Redstarts are summer visitors to Portugal. 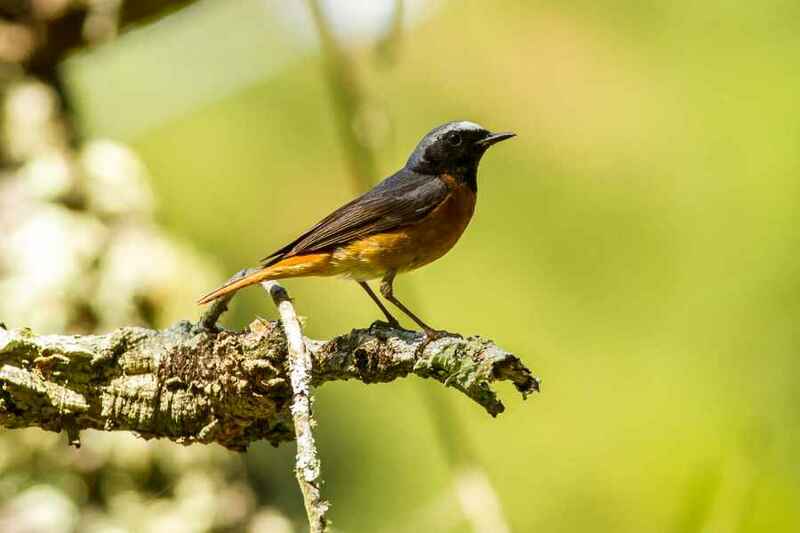 They're a lovely woodland species and, though more common farther north in the Western Palearctic, are observeable without much trouble in most wooded areas in this country. 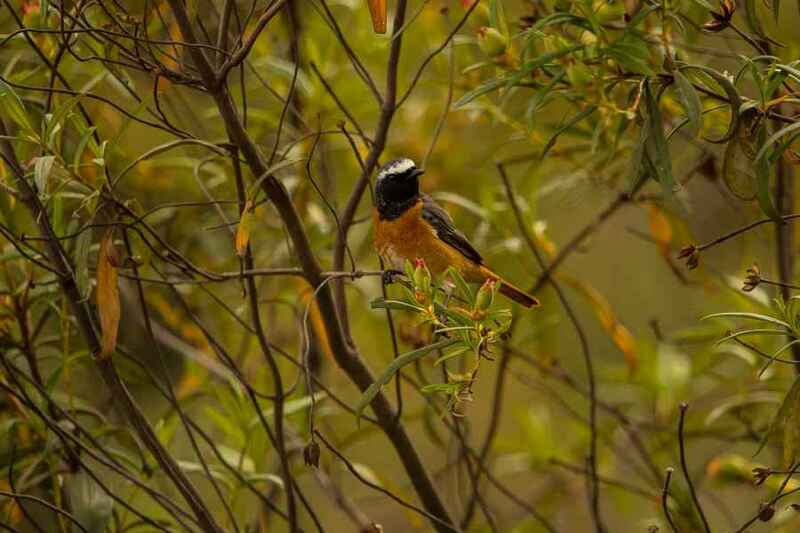 Normally their habits are shy and retiring, keeping themselves more often than not high in the canopy of leaves, but here they seem to be less shy and can be approached quite easily while feeding from low bushes in amongst the Cork Oaks. The most useful diagnostic is the horizontal white line across the forehead of the male; this normally stands out in the dappled shade better than the red chest. 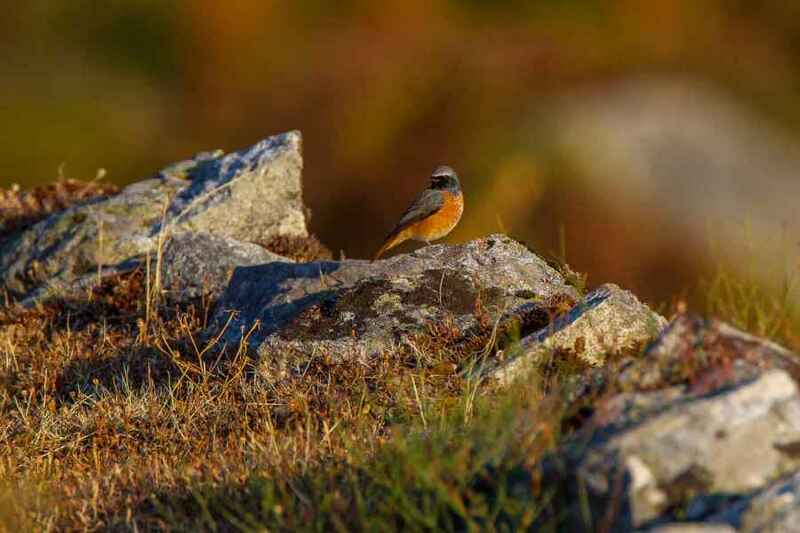 The female is a dull brown with a gentle pinkish chest. Both sexes flick their tails repeatedly.